Conformity in Modern Science: An Engine of Societal Transformation? The penetration of science into all spheres of life has self-evidently become a contemporary “megatrend”. In turn, science itself is also undergoing distinct transformations, e.g., as a result of such processes as increasing regulation and bureaucratisation within academia. In this context, researchers as active producers of scientific knowledge face multiple challenges, including the need to cope with increasing regulation of their everyday practices. Therefore, our research purpose was to investigate the phenomenon of conformity, which, although always having been inseparable from social life, is acquiring a new significance today. Various representations of conformity (e.g. conformist behaviour) have received a great deal of attention from sociologists, biologists and psychologists; however, to our knowledge, there is no generally accepted philosophical understanding of its nature. In this paper, we provide a phenomenological study of conformity on the basis of a comprehensive literature analysis and evaluate its role as a mode of existence in modern science. For the sake of clarity, some illustrations from the everyday lives of researchers are given, including the distribution of the IMRAD format of research articles. 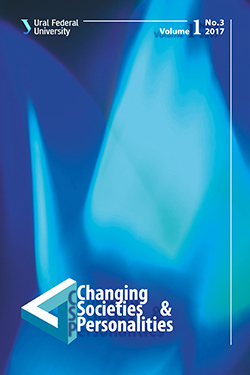 Conformity in science is predicted to involve consequences at three distinct levels: (1) within a scientific community, when scientists follow prescribed patterns of conduct; (2) within a particular society when people from all walks of life conform to the standards set by the scientised world-view; and (3) at the global level when non-western communities conform to western standards of life through borrowing western scientific world picture. Natalia Popova conducts research at the interface of sociology of science, linguistics and teaching English for academic purposes. She is particularly interested in transformations that occur in the field of scientific activity as a result of globalisation. PhD student, Institute for Philosophy and Law, Ural Branch of the Russian Academy of Sciences. Yan Moiseenko investigates problems in the field of political science. His PhD research focuses on the phenomenon of conformity as the ontological foundation of modern political ideologies and political systems in general. Researcher, Foreign Languages Department, Institute for Philosophy and Law, Ural Branch of the Russian Academy of Sciences. Thomas Beavitt is a professional translator and applied linguist specialising in the production of scientific, philosophical and poetic texts. His research interests include cultural and linguistic differences between Russian and Western practices and traditions, focusing particularly on the boundary between language and music highlighted by the practice of poetic translation. Adams, J., Black, G., Clemmons, J. R., Stephan, P. E. (2005). Scientific teams and institutional collaborations: evidence from U.S. universities, 1981–1999. Research Policy, 34, 259–285. Alexandre, V., Gasparski, W. (2000). The Roots of Praxeology: French Action Theory from Bourdeau and Espinas to Present Days. New Brunswick, NJ: Transaction Publishers. Ash, S. (1955). Opinions and social pressure. Scientific American, Vol. 193, No. 5, 31–35. Brett, P. (1994). A genre analysis of the results section of sociology articles. English for Specific Purposes, 13(1), 47–59. Brey, P. (2000). Technology as Extension of Human Faculties. Metaphysics, Epistemology, and Technology. In C. Mitcham (ed.) Research in Philosophy and Technology, Vol 19. London: Elsevier/JAI Press. Bohannon, J. (2013). Who’s afraid of peer review? Science, No. 6154 (342), 60–65. Bozeman, B., Rainey, H. (1998). Organizational rules and the bureaucratic personality. American Journal of Political Science, 42(1), 163–189. Caiden, J. (1991). What really is public maladministration? Public Administration Review, Vol. 50, 525–535. Coccia, M. (2009). Bureaucratization in public research institutions. Minerva, 43, 31–50. Cooper, C. (2016). Citizen science: How ordinary people are changing the face of discovery. New York: The Overlook Press. Crozier, M. (1964). The Bureaucratic Phenomenon. London: Tavistock Publications. Descartes, R. (2004). A Discourse on Method: Meditations and Principles. London: Orion Publishing Group. Dusek V. (2006). Philosophy of Technology: an Introduction. Malden, MA: Blackwell Publishing. Ellul J. (1964). The Technological Society. New York: Vintage Books. Etzkowitz, H. (1983). Entrepreneurial scientists and entrepreneurial universities in American academic science. Minerva, 21, 198–233. Fisk, M. (2016). Ethics and social survival. New York: Routledge. Fromm, E. (1965). Escape from freedom. New York: Henry Holt and Company. Gross, A., Harmon, J., Reidy, M. (2002). Communicating science: The scientific article from the 17th century to the present. Oxford: Oxford University Press. Hackett, E. (1990). Science as a vocation in the 1990 – the changing organizational culture of academic science. Journal of Higher Education, 61, 241–279. Hadzigeorgiou, Y., Fokialis P., Kabouropoulou, M. (2012). Thinking about creativity in science education. Creative education, Vol. 3, 5, 603–611. Heidegger, M. (1962). Being and Time. (J. Macquarrie and E. Robinson, trans.). Malden, MA: Blackwell Publishers. Heidegger, M. (1977). The Age of the World-Picture. (W. Lovitt, trans.) New York & London: Garland Publishing. 115–155. Heidegger, M. (1977). The Question Concerning Technologies. (W. Lovitt, trans.) New York & London: Garland Publishing. 3–36. Heidegger, M. (1977). Science and Reflection. (W. Lovitt, trans.) New York & London: Garland Publishing. 155–182. Hopkins, A., Dudley-Evans, T. (1988). A genre-based investigation of the discussion sections in articles and dissertations. English for Specific Purposes, 7(2), 113–122. Horkheimer, M., Adorno T. (2002). Dialectic of Enlightenment. Stanford: Stanford University Press. Jünger, F. G. (2010). Die Perfektion der Technik [The Perfection of Technology]. Göttingen: Hubert & Co.
Kanoksilapatham, B. (2005). Rhetorical structure of biochemistry research articles. English for Specific Purposes, Vol. 24, 269–292. Marcuse, H. (1982). “Some Social Implications of Modern Technology”. In Andrew Arato and Eike Gebhardt (eds.) The Essential Frankfurt School Reader. New York: Continuum. 138–162. Marcuse, H. (2002). One-Dimensional Man. London & New York: Routledge. Marx, K. (1977). Capital: a Critique of Political Economy. Vol. 1. Book 1. Moscow: Progress Publishers. Merton, R. (1940). Bureaucratic structure and personality. Social Forces, Vol. 18, No. 4, 560–568. Merton, R. (1938). Social structure and anomie. American Sociological Review, Vol. 3, Issue 5, 672–682. Mitcham, C. (1994). Thinking through Technologies: the Path between Engineering and Technology. Chicago & London: University of Chicago Press. Popov, E., Popova, N., Biricheva, E., Kochetkov D. (2017). A goal-oriented approach to performance assessment of research teams. University management: Practice and Analysis, Vol. 23, No. 3, 6–18. Prince, D. (1963). Little science, big science. New York: Columbia University Press. Report of the House of Commons Science and Technology Committee. (2011). Peer review in scientific publications. Vol. 1. London, UK: House of Commons. Salazar, C., Bestard, J. (2015). Religion and Science as Forms of Life: Anthropological Insights into Reason and Unreason. Oxford & New York: Berghahn Books. Schwab, K. (2016). The Fourth Industrial Revolution. Geneva, Switzerland: World Economic Forum. Skinner, B. (1976). About Behaviorism. New York: Vintage Books. Smith, E., Winterhalder, B. (1992). Evolutionary ecology and human behavior. New York: Aldine de Gruyter. Sollaci, L., Pereira, M. (2004). The introduction, methods, results and discussion (IMRAD) structure: a fifty year survey. Journal of the Medical Library Association, 92(3), 364–371. “Technology versus Man” (1949). Manas Reprint, Vol. 2, No. 26. 1–13. Thompson, V. (1961). Modern Organization. New York: Knopf. Walsh, J., Lee, Y. (2015). The bureaucratization of science. Research Policy, 44, 1584–1600. Weber, M. (1978). Economy and Society. Berkeley, CA: University of California Press. Wuchty, S., Jones, B., Uzzi, B. (2007). The increasing dominance of teams in the production of knowledge. Science, 316, 1036–1039.